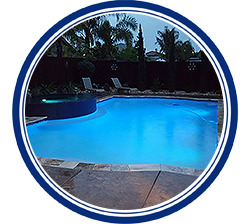 Let Blue Champagne Pools make your backyard pool dreams come true. 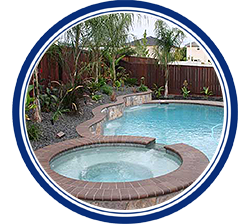 Our introductory Gunite Swimming Pool package is available now. 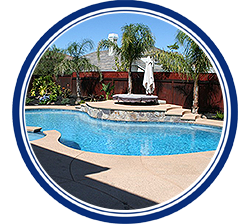 We'd be pleased to supply other pool estimates as well. Note 1: Standard Bobcat access width of 8 feet is required. If rock is encountered during excavation, additional charges of $250.00 per hour will be charged for jackhammer use. Note 2: Overflow protection requires sufficient means of drainage to be available in existing yard where pool will be built. Note 3: Color is optional; no drains are included. Note 4: Contra Costa County cities of Antioch, Brentwood, and Oakley only. Other cities in Contra Costa County will have additional costs associated with excavation, permitting, construction, and recycling fees. Price is available for 2019 only.